Following the success of my trial of the first episode, I continued my foray into Good Eats land with the recipes featured in the second episode about potatoes. Next up was the humble baked potato, which, by the way, I paired with the steaks I made from the first episode. 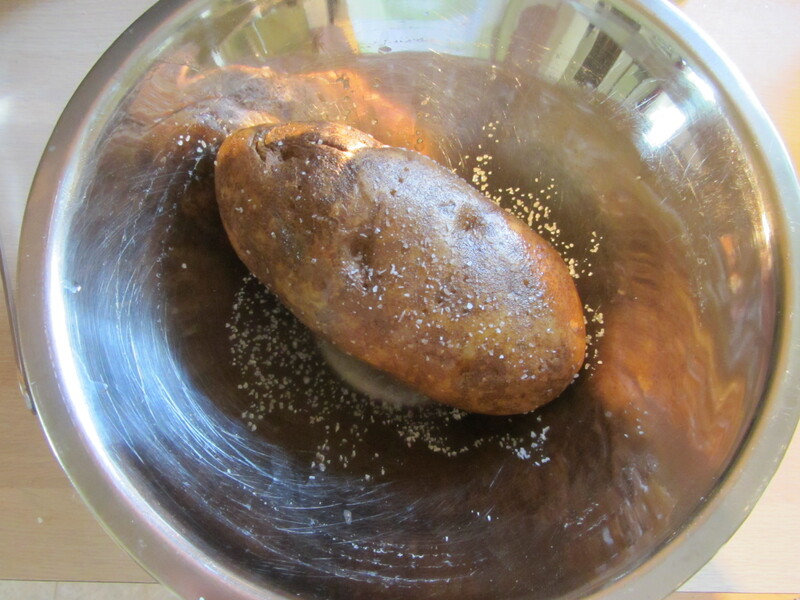 The first time I attempted to make Alton’s baked potatoes (recipe here), I was in the process of getting everything ready to go when I discovered we had run out of Kosher salt. This NEVER happens at our house, but, of course, it had to happen on the very first day of my project. If it had been early in the evening, I would have simply run to the store for more salt, but it had been a busy weekend day and we were already on schedule for a very late dinner. Alton would, I presume, be happy to hear that I did not simply substitute other salt, but rather I postponed the commencement of my project until the following day. It is comical now, but at that time, I viewed it as some cosmic sign that my project was perhaps not meant to be. and then baking them directly on the oven rack with no foil. It is wise to put a baking sheet on the rack below the potatoes, as they do drip while they bake. My husband and I were both happy with the resulting potatoes, which had crispy, salty skins. 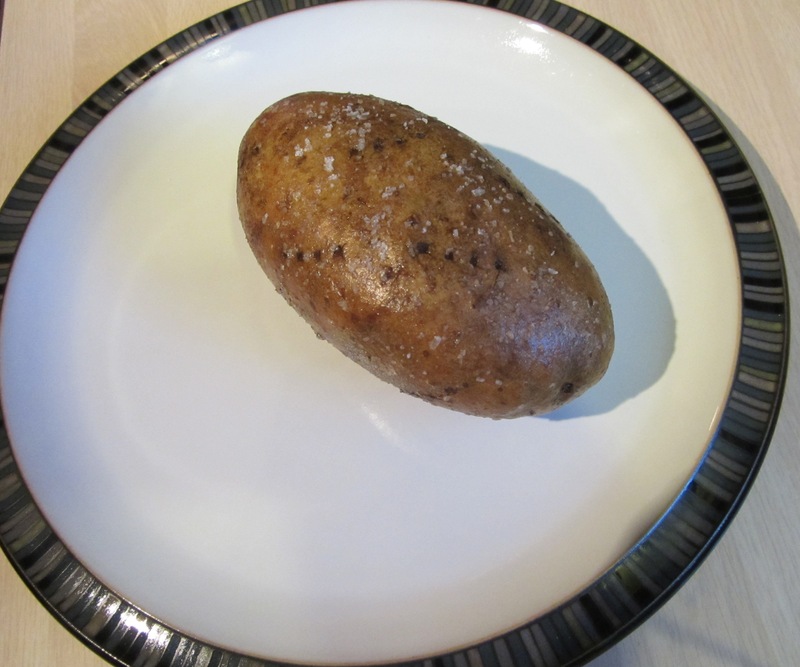 Baked potato with crispy, salty skin. 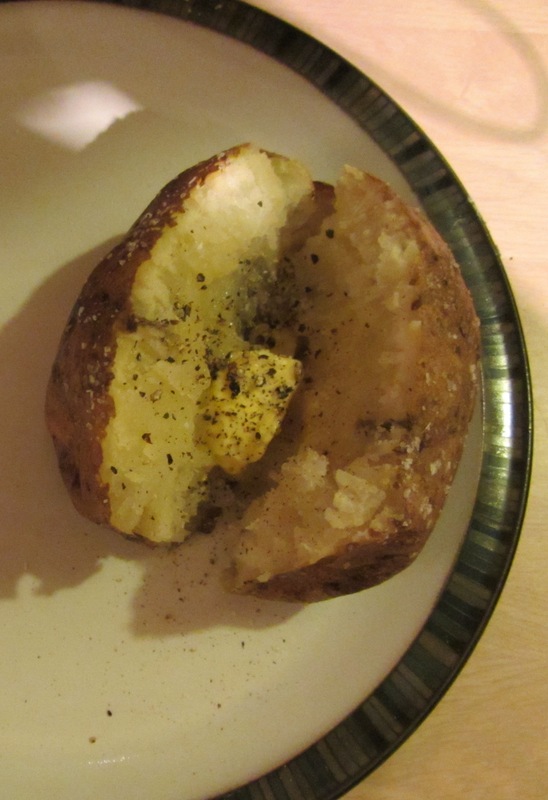 Baked potato with butter, salt, and pepper. 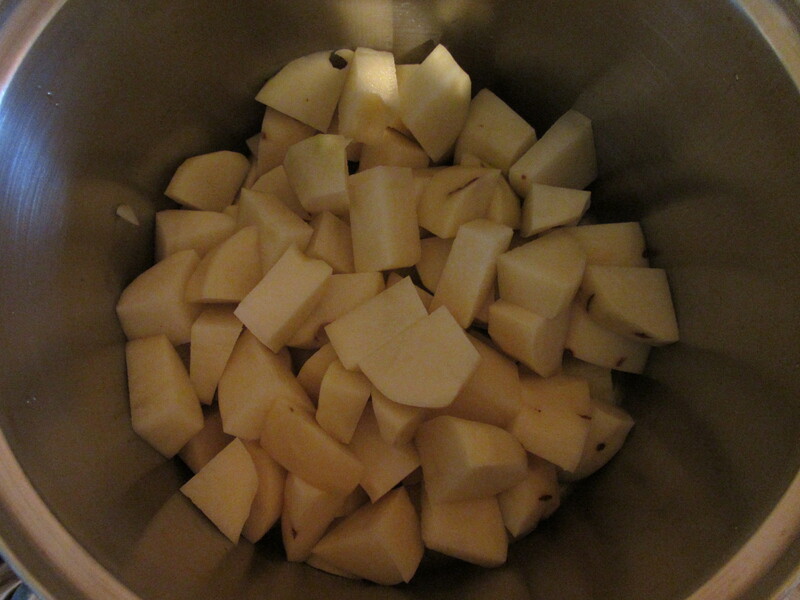 Continuing on with the potato recipes in the second episode, next up were the mashed potatoes. 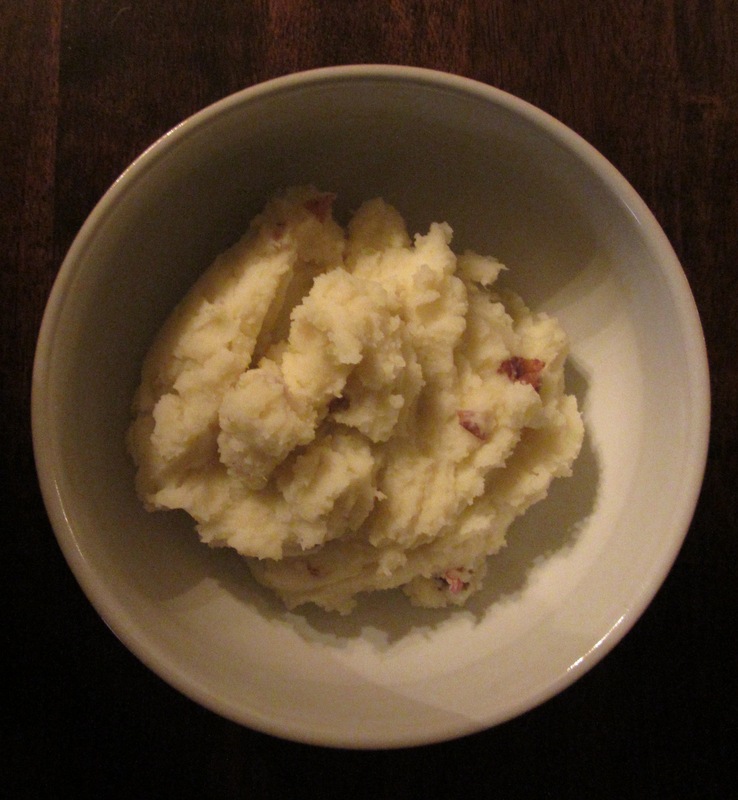 Mashed potatoes are not something we eat regularly, but rather tend to be reserved for holidays. Why? I don’t know, but perhaps it’s because they strike me as a rich, heavy dish fit for gluttonous holidays. I did go through a phase a few years ago when I couldn’t stand to look at mashed potatoes, but that was because I had worked as a food scientist on a mashed potato project that saw me tasting/modifying mashed potatoes all day at work. Trust me, you can get burnt out on mashed potatoes pretty quickly. After a year-long hiatus from mashed potatoes, I can say that I do enjoy them again, though they’ll probably never again be something I want to eat on a regular basis. Alton’s recipe is here, and is really quite straight forward. 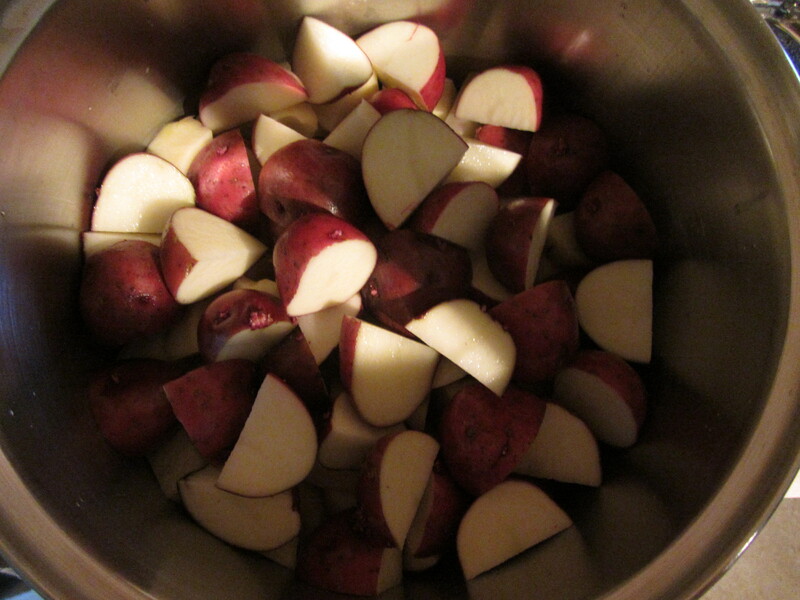 As he states in the episode, really the important part of this recipe is the ratio of russet potatoes to red potatoes. 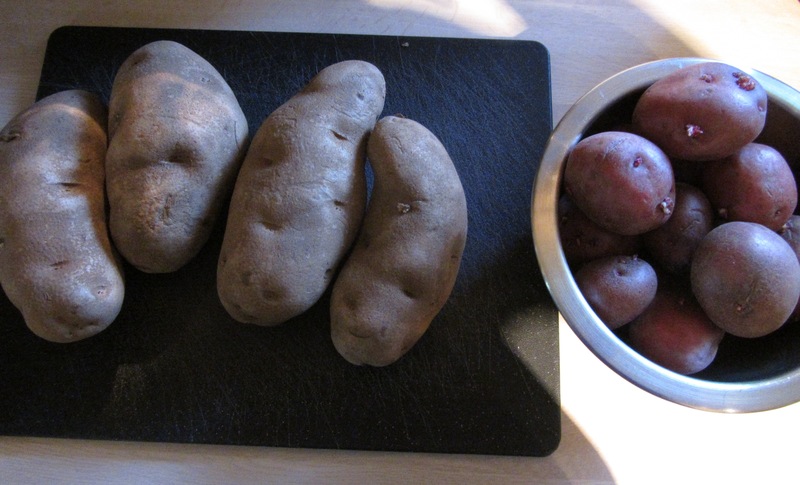 Per his recommendation, I weighed my potatoes, getting a 2:1 ratio of russets to reds. 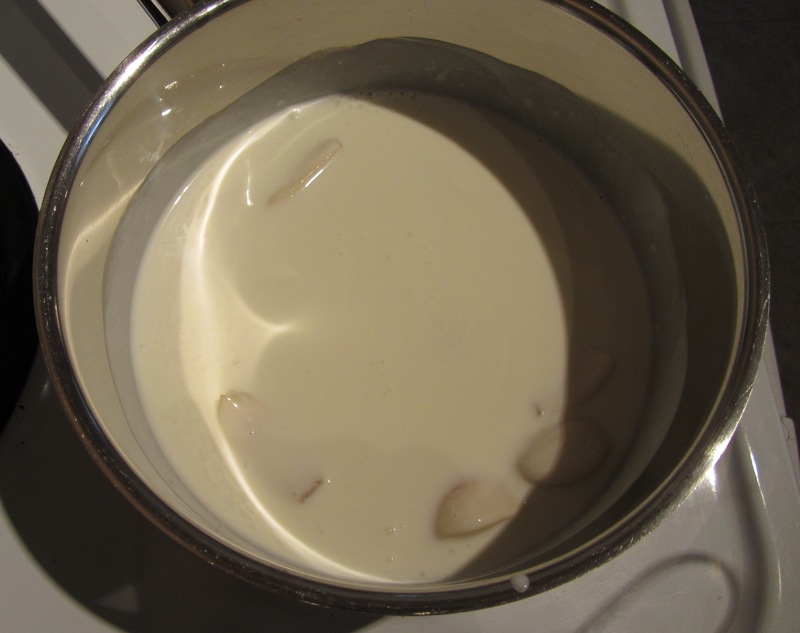 While my potatoes gently cooked, I heated my dairy mixture with garlic. Sure enough, my potatoes were ready for mashing about 20 minutes after coming to a boil. They mashed easily, but I quickly discovered that I needed more of the dairy mixture than I had prepared. 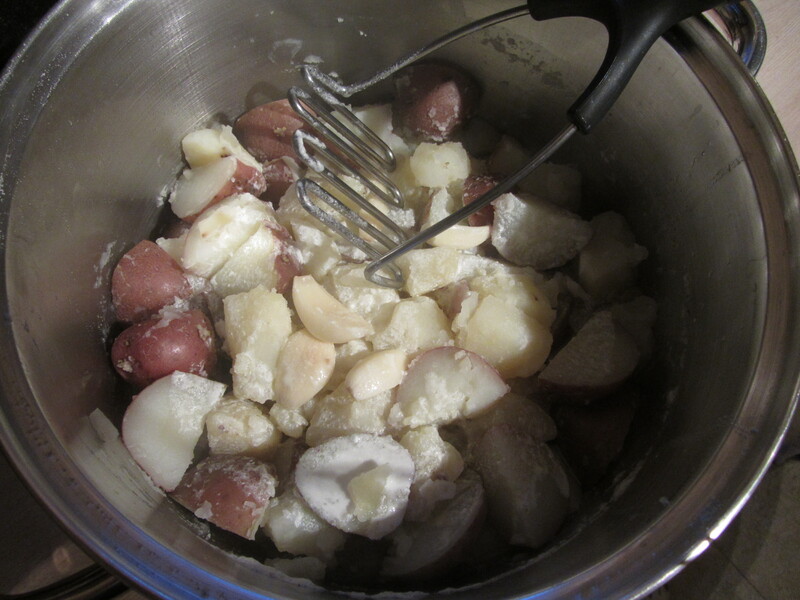 I quickly heated some more dairy on the stove, and added it slowly until I had the fluffy potatoes I desired. Ted declared these the best mashed potatoes he has had, and he’s a Midwestern boy, so you know his opinions on meat and potatoes are valid. We ate ours with extra salt and pepper, and some creamed horseradish. 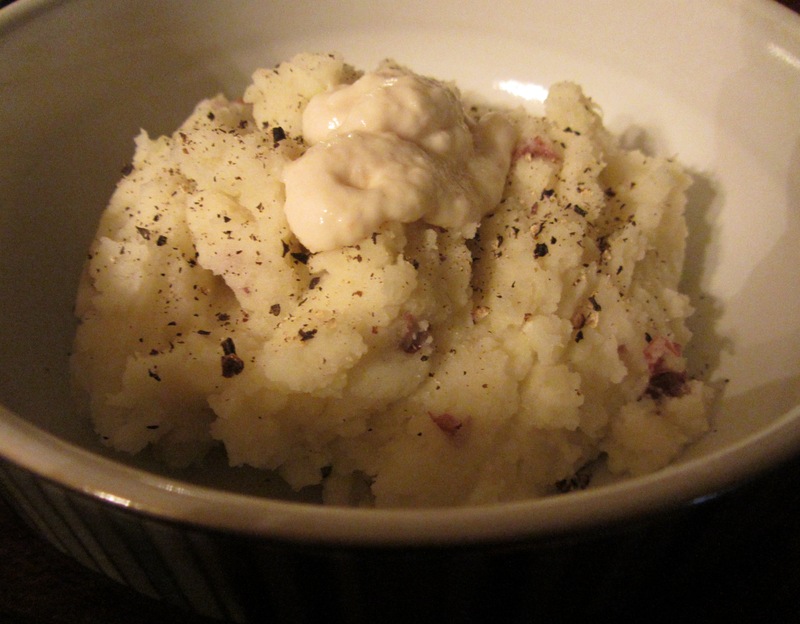 Mashed potatoes with salt, pepper, and horseradish. 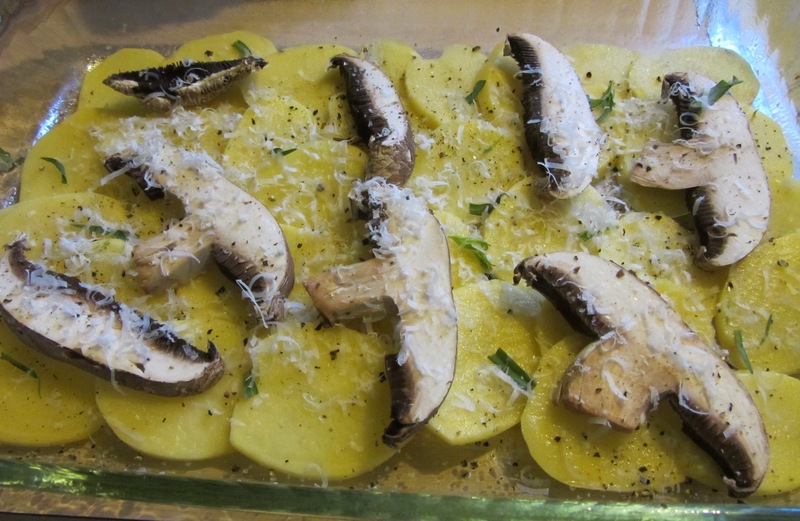 The third, and final, recipe in the 2nd episode was for the potato/portobello gratin. One reason I was excited to begin this project was to employ some of the kitchen gadgets/equipment we have that are not so frequently used. Enter the mandolin. Ted bought a mandolin years ago for some particular recipe which I cannot recall. It has since sat on a shelf, rarely used. 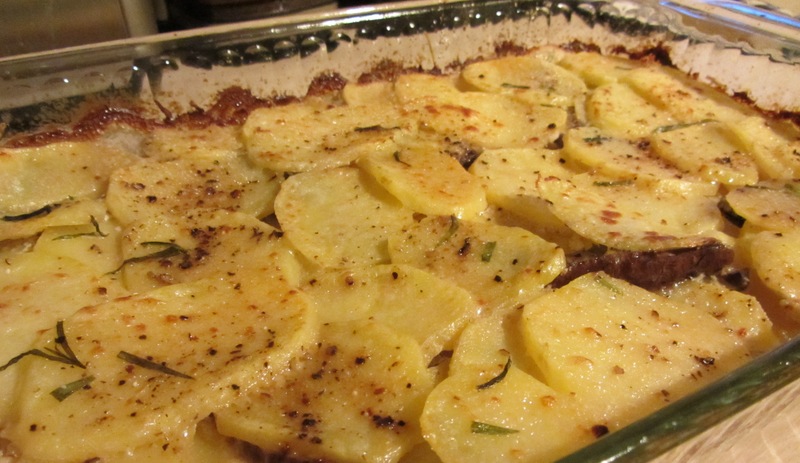 For the gratin recipe featured in this episode, the mandolin was a huge asset, if not a necessity. 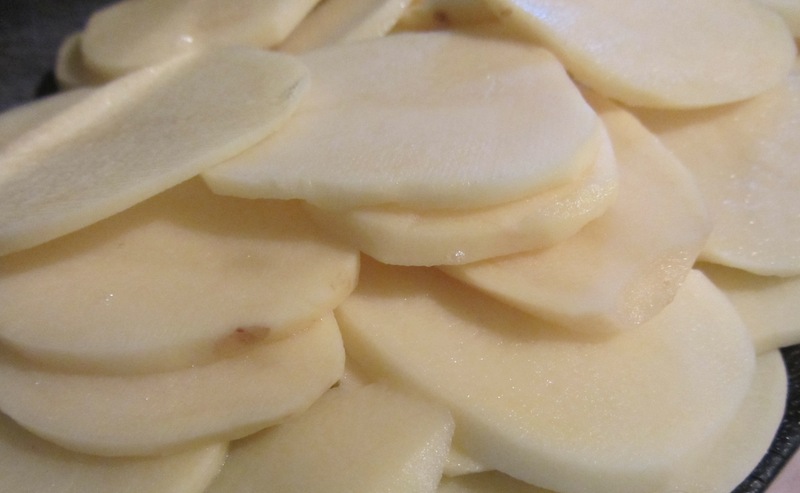 It yielded uniform slices of Yukon gold potatoes, and saved me a lot of time. In fact, following the prep work for this recipe, I found myself wondering why I have not utilized this tool more often. I followed Alton’s recipe, but threw in some fresh tarragon I had lying around, and used Parmigiano-Reggiano. I had enough potato slices for three layers, while Alton created four layers in the episode. Gratin layers prior to baking. In the online recipe, the directions are to check the gratin after baking for an hour, but I followed the slightly different instructions from the episode, which were to check the gratin after about 45 minutes. My gratin was cooked through at that point. 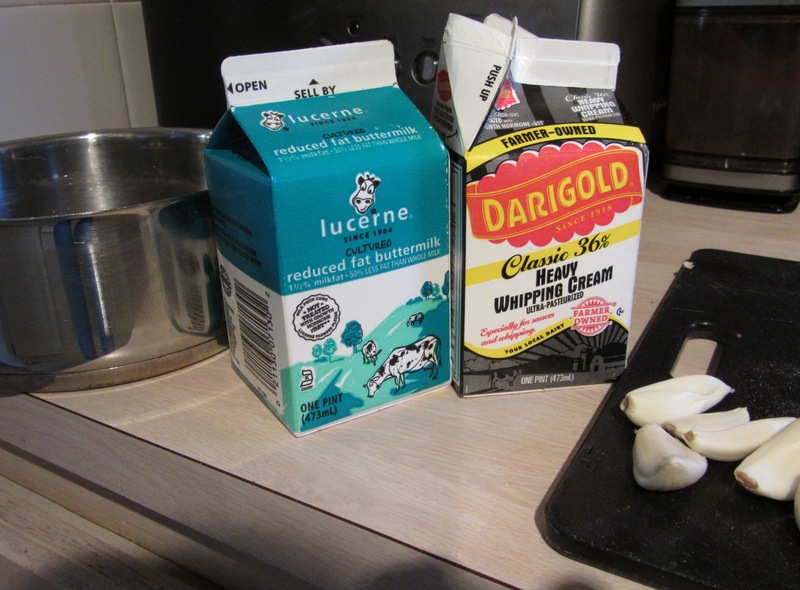 I also ended up using more than the recommended 3/4 C of half-and-half from the online recipe. I just added more until the liquid came up through the layers when I pushed down with my hands. Though I thought it looked like it had a bit too much liquid when I pulled it out of the oven, it set up nicely after allowing it to cool for 20 minutes, and the potatoes were nicely cooked without being soft. 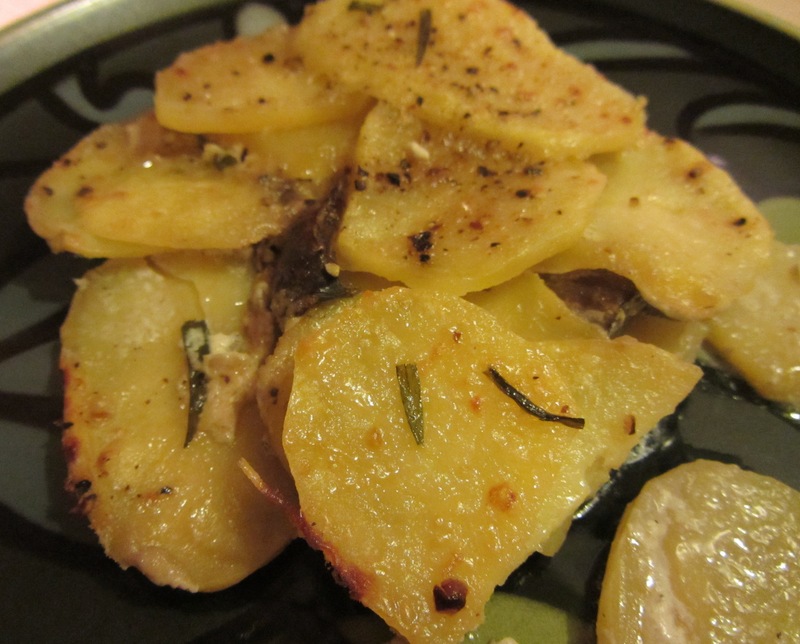 As a bonus, the tarragon was nice with the potatoes. This recipe really is something to experiment with, as you could throw in whatever you have on hand. Next up: Episode 3.